Nelson holds a core belief that our city deserves the very best from our leaders at all levels of government. As such, it is a core mission of Nelson's to continuously raise the caliber of leadership in Fresno. For the overwhelming majority of residents in the district, Nelson's tenure on the Fresno County Board of Education was the first time they were ever made aware that they had a regional voice at the Fresno County Office of Education. In any capacity that Nelson serves, including as your Fresno City Councilmember- he is committed to raising expectations for what it means to serve our community in Fresno. Nelson's leadership representing Central and South Fresno on the Fresno County Board of Education has resulted in numerous victories for our students. In addition to supporting a new high school located in District 7- Nelson has led initiatives on safe schools, career technical education, Dual Immersion programs, anti-bullying, building partnerships to support students outside the classroom, and more. On the Board, Nelson is Chairman of the Board Projects Committee and oversees the Regional Occupation Program Advisory Management Board. Nelson makes his cell phone number and email available to each person in the district. He understands that community input is vital to the success of our city and returns every call/email/message from his neighbors. 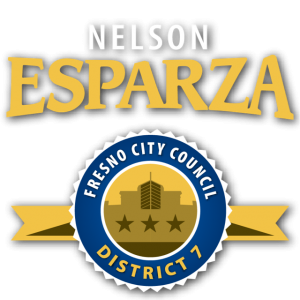 The residents of District 7 currently receive this level of responsiveness from Nelson on the Board of Education, and will continue to receive it as Nelson represents them on the Fresno City Council. Additionally, Nelson makes every effort to be present at public forums in our community and is committed to increasing the number of opportunities for residents to come together and discuss issues.